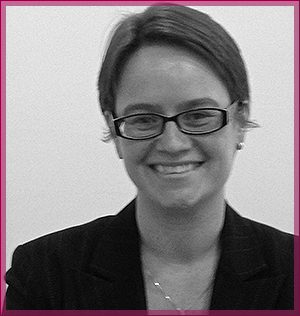 Philippa has been with odonnells since 1998, progressing from trainee solicitor to Associate, and now partner. Over the years, she has handled a varied civil and private client case load and since returning to work after maternity leave in 2009, has concentrated on mental health and mental capacity work. In particular, Court of Protection welfare cases now form the majority of her caseload, acting on behalf of individuals in the Court of Protection in relation matters which involve mental incapacity, receiving instructions from the Official Solicitor and family members. She has also dealt with community care issues, including judicial review of decisions by the local authority. This has included one of the first challenges of the DOLS (Deprivation of Liberty Safeguards) legislation which was heard by the Court of Protection sitting at the High Court in London. Philippa has also been instructed in the three reported cases involving RB, dealing with the Judicial Review of the Principal Judge’s decision to set aside the conditional discharge, the Secretary of State’s appeal to the Upper Tribunal and the Court of Appeal’s conclusion of the case. In October 2013 Philippa was in court for the three day hearing at the Supreme Court of the case, P v Cheshire West, in which she was instructed for P by the Official Solicitor. More information about her time in the Supreme Court can be found on the office website. Following the handing down of the judgment in March 2014, her caseload has expanded to meet an increased number of cases as a result on the issue of deprivation of liberty. Philippa’s private client caseload also continues, preparing Wills and Lasting Powers of Attorney, administering estates and making applications to the Court of Protection for deputyship appointments for both property and affairs and personal welfare matters. On 19 May 2016, Philippa was announced as a finalist in the Legal Aid Lawyer of the Year awards mental health category. Despite stiff competition, Philippa was named the winner of this award at a ceremony in London hosted by the Legal Aid Practitioners Group on 7 July 2016. She was presented with her prize by Doreen Lawrence, Baroness of Clarendon OBE and interviewed by Anna Jones of Sky News.